Never Paint Poly Outdoor Furniture! Poly "Lumber" is a high performance wood substitute that you can keep outside all winter long and it will still look great year after year! No more painting or staining! Poly "Lumber" is similar in weight to hardwoods such as oak and won't blow away on a windy day! Stainless steel bolts and screws are used to resist rust and provide sturdy construction. Poly furniture tends to be very expensive at many retailers. Poly Adirondack chairs often cost $200-$400 for 1 chair. Our customers often find our $129.99 to $179.99 Adirondack chair price very exciting. Our reasonable prices for poly outdoor furniture have resulted in many customers driving several hours to buy furniture from us! 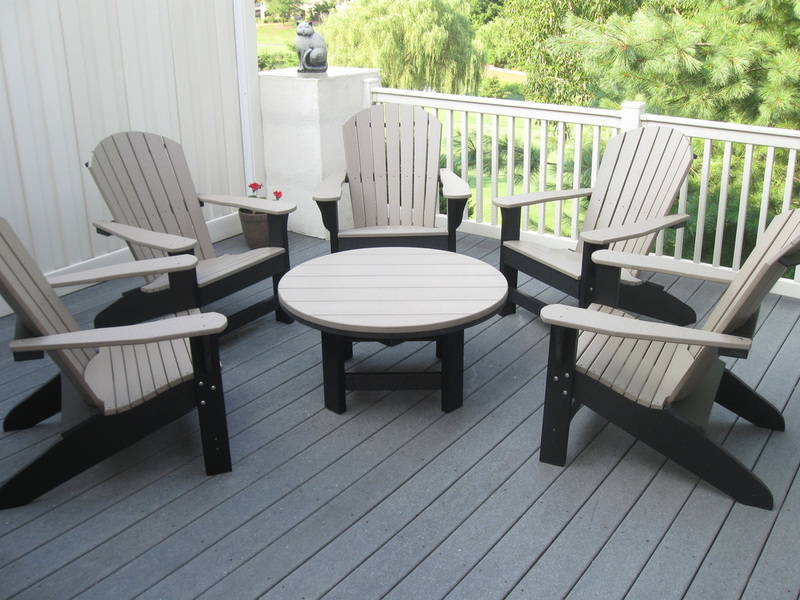 In 2012-2013 we had customers drive from Michigan, Illinois, Indiana, Ohio, New York, New Jersey, Connecticut, Massachusetts, Delaware, Maryland, West Virginia, Virginia, North Carolina and South Carolina to buy maintenance free poly furniture from us. Our goal is to sell the highest quality and most comfortable poly furniture at the lowest possible prices. Stop by the store and see why our customers often mention that our poly furniture looks better in person than it does in the pictures! Call Brent at 717-515-1953 (cell) if you have any questions. Visit LancasterPolyPatios.com to see poly porch swings, poly gliders, poly swivel gliders, poly rocking chairs, poly picnic tables, poly dining tables and poly dining chairs.